For the past several weeks, I've been working on the walking trails at Earth Village in Kerikeri, New Zealand. We're getting ready for the one thousand Earth Citizens who will come to this place from all over the world to attend the First Annual Earth Citizen Peace Festival being held in Kerikeri in two weeks. Earth Village is a large, 380-acre forest. I'm always surprised whenever I come here. Nature can be so beautiful! I'm struck with wonder and greatly inspired every time. My heart is already beating with excitement as I think about walking these beautiful woods with the people attending the Earth Citizen Peace Festival, talking about the Earth Citizen's village we will create here. Not long ago, I discovered a trail at Earth Village where I could feel the breath of Mother Earth, of Mago. 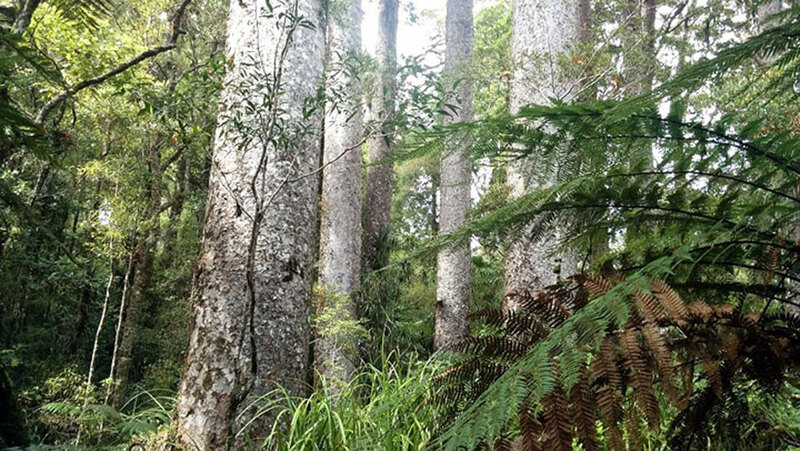 Here, we have over 100 species of trees, 10 of which are species known to give off the highest amount of phytoncides, which are well-known for purifying the air and supporting the immune system. This is a path where they form communities and emanate a primal life force and a breathtakingly majestic, harmonious energy. I feel the forest breathing every time I walk this trail. And, I feel my breath growing to resemble the breath of the forest and myself becoming completely one with nature. 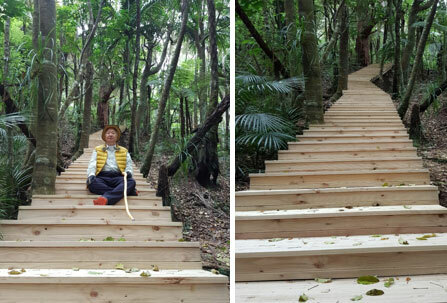 I discovered on this trail two beautiful trees, 500 and 300-some years old, and we're creating a very meaningful space on this path called, "Stairway of Spiritual Completion," which is made up of 120 steps. This is the world's one and only Stairway of Spiritual Completion, where you can experience the 10 steps of spiritual completion and awaken. It started with an attitude of prayer for the growth and completion of Earth Citizens and will be finished before the Earth Citizen Peace Festival. The wooden stairway will give great, lifelong inspiration to the Earth Citizens who visit this place. This Earth Village walking trail is a place where you can empty yourself of old energy and accept new energy naturally as you witness the cycle of life in the law and truth of Nature. It's a place where you can feel with your whole body the meaning of "renewal." That's why I named the trail, "The Way of New Life." There, we find a newness that will instill our lives with inspiration and passion. This is especially true at the beginning of the year. As we already know all too well, renewal doesn't come to us automatically just because the year changes. It is we humans who bestow meaning on the cycle of nature and who choose newness. Unless we choose renewal for a better tomorrow, tomorrow will be the same as today. I once heard a scholar say that 95% of people live their lives without any change, living today as they did yesterday, now as they did last week, last month, and last year. Your life definitely does not overflow with newness just because you do something new every day and meet new people. In the same way, you can experience infinite newness even though you do the exact same thing and meet the exact same people every day. Where does newness come from? The most powerful source of renewal is not found outside of us. It is always there inside us, in our spirit. I frequently say, "Live with spirit." The spirit I speak of is your divine nature. Everyone has a divine nature. Feeling and discovering the divinity within you is like a ship wandering and lost on a dark sea encountering a lighthouse. For our divinity can answer our questions about who we are and about what we truly want out of life. Will you live surrounded by conflict over possession and control, by competition and strife, or will you live a life of joy through harmony, balance, community, and sharing? The answer is found in your spirit. The only medicine able to cure all frustration, despair, helplessness, and hopelessness is encountering your divine nature, your spirit. We are ceaselessly renewed when we communicate honestly and sincerely with ourselves by encountering our spirit. I ask this question about newness regarding the life of all humanity, as well. How can humans live lives that are different from how they have lived so far? Is it possible for humankind to overcome the problems material civilization has brought, like strife, conflict, destruction, and alienation, and to create a sustainable new world that is safe, peaceful, and mindful? Is it truly possible for the human race to walk a new path of life? I don't think that the answer to this question is found outside of us, either. When we encounter the true human spirit, we see threads we can use to unravel the many problems facing humankind. The artificial things that split and divide us: mutually different cultures and languages, countries, religions, tangled interests . . . Who are we before all these things exist? We are nature, and, as is true for all other life, we are children of Earth who exist because the earth exists. When we truly understand that we are nature, we can awaken from our paradigm of seeing nature as an object that must be conquered and ruled, and of viewing our fellow human beings only as competitors. We can understand and accept the need for this paradigm shift through knowledge or as a moral imperative. However, if a new idea is to be incorporated into our lives and culture, we must "feel" it. Instead of remaining only in the brain's neocortex, which handles thinking, new information becomes true knowledge only if it enters and finds its place in the paleocortex, which handles our emotions, and the brainstem, which handles vital functions. The First Earth Citizen Peace Festival, which will be held on January 27 and 28, is an event for feeling, empathizing, and communicating with your true self, the true human spirit. You'll feel with your whole body what it is that makes us truly human, makes our hearts beat, and inspires us. The peace festival is made up of three parts. Part 1 is the opening celebration held on Friday evening, Kia Ora Night. We'll have a dynamic, friendly, meaningful time sharing music, dances, and cultural performances from around the world and friendship with Earth Citizens beneath the beautiful, summer night sky in a Kerikeri park. Part 2 is the main event, Earth Citizens in Unity. With new eyes, we'll look at who Earth Citizens are, why they hold the key to a safe, mindful, sustainable future, and why Kerikeri, New Zealand can provide hope and inspiration to the world. 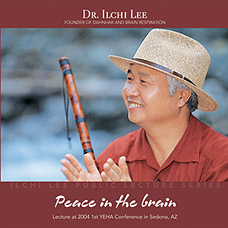 Part 3 is a symposium on the brain, the Earth Citizen spirit, and our global future. World-renowned experts, such as Dr. Emeran Mayer and Dr. Reed Tuckson, will discuss the brain and intestinal health, natural healing, and the importance of the Earth Citizen lifestyle. 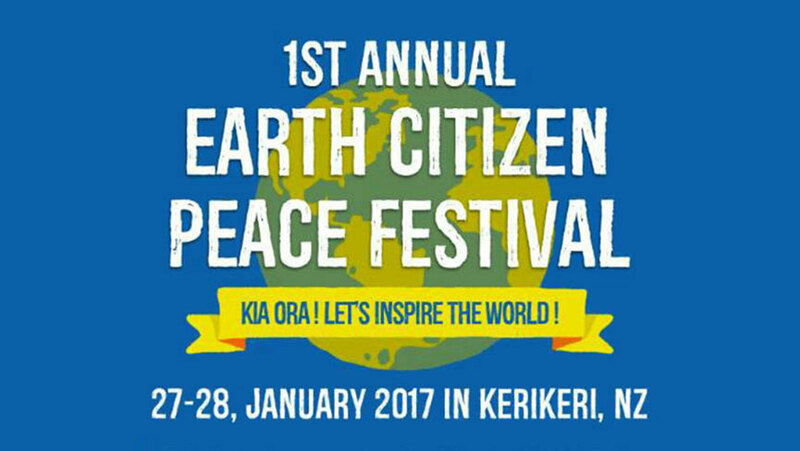 The slogan of the Earth Citizen Peace Festival is, "Kia Ora, Let's inspire the world!" "Kia Ora" is a greeting of New Zealand's Maori people. Translated literally, it means, "Be well." Containing a desire for the health and happiness of all life, it's the perfect greeting for Earth Citizens. I hope that everyone attending the festival will develop a dream, excitement, and passion for a new way of life. I hope that, when they return to their own living spaces, their daily lives, which were once always the same, will hold new meaning for them, that they'll start new conversations with the people they've always met, and that their lives will shine brilliantly. I also hope that their friendship with the Earth Citizens they meet at the festival will inspire them to transcend the boundaries of their familiar lives, meeting new people and creating compelling experiences. May they have the courage and confidence to design and pioneer their own destinies under any conditions and in any environment. And, more than anything else, I hope that they will feel infinite responsibility and love for the earth and humanity, and that they will live as true Earth Citizens who act on those feelings through their choices and actions each and every day. I want to see you at the peace festival in New Zealand. 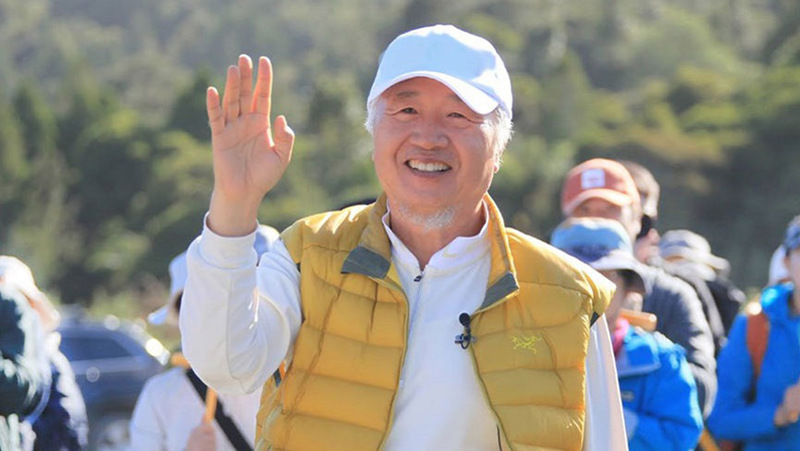 As you walk with me, and with hundreds of Earth Citizens, along the woodland paths among the pines of Earth Village, let's talk about how we can walk a new path in life, creating a newness in our individual lives and on the earth. Would like to be walking in those trees! Breathing that air. Smiling. Thank you for this beautiful article. The event looks amazing!!! So exciting. The festival is almost here. 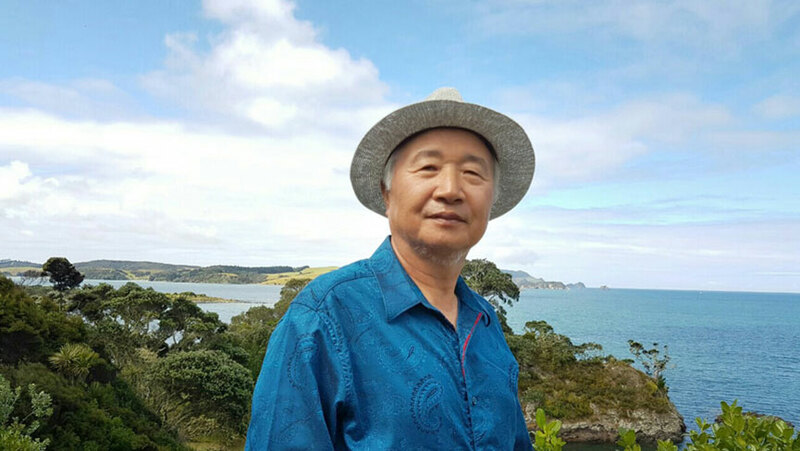 May all that attend feel the connection with all Earth Citizens and spread the message, Kia Ora across the world. I will be with you in spirit. That looks like it'll be a lot of fun. I hope everyone has a good time! I wish I could go! Thank you for this beautiful message of hope!